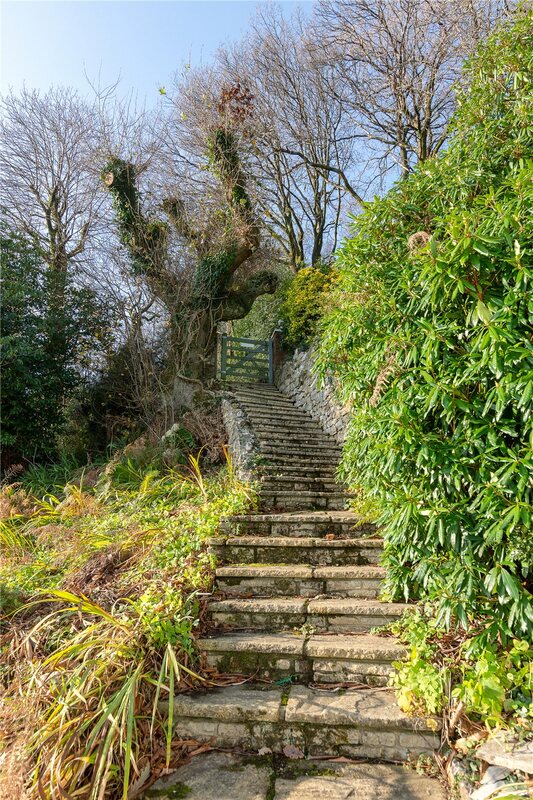 Got a question for Bridport and Dorchester? 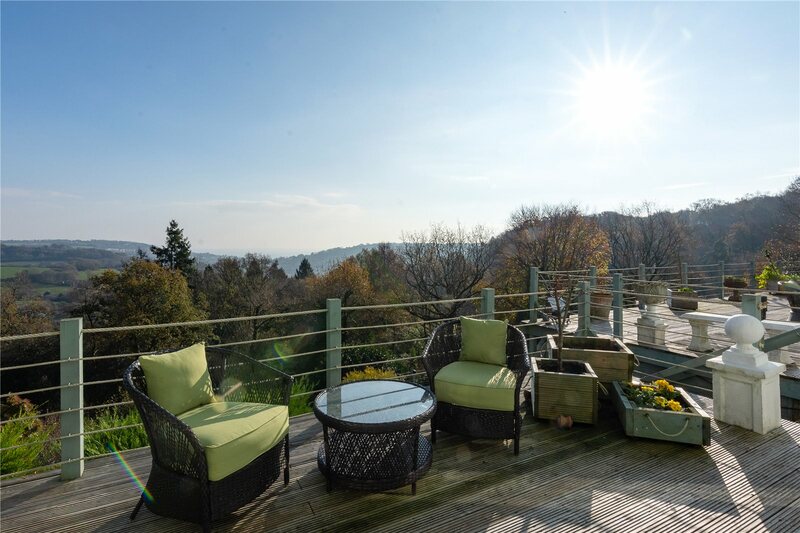 A stunning family home bursting with character in a commanding and peaceful, rural location with perhaps one of the most exceptional panoramic views of the sea and countryside that this wonderful area has to offer. 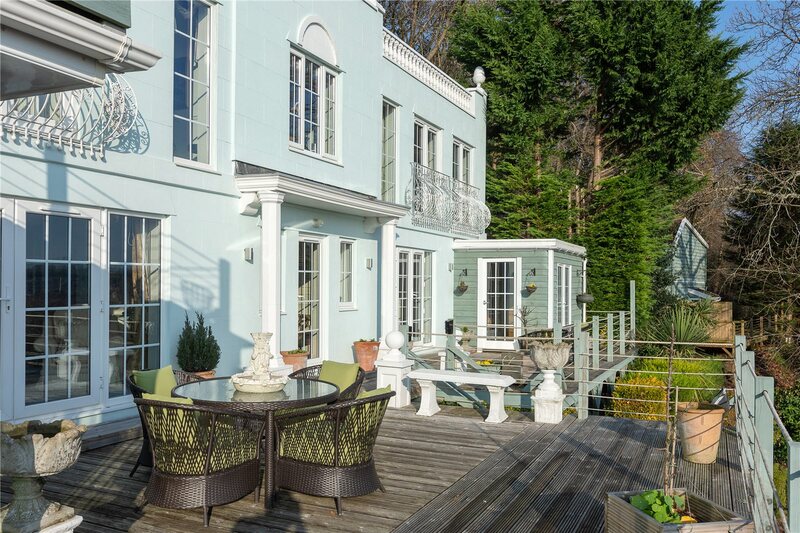 Nestled in a wonderful elevated and peaceful rural location first glimpses of Woodhill House are most impressive with its Mediterranean styled facade. 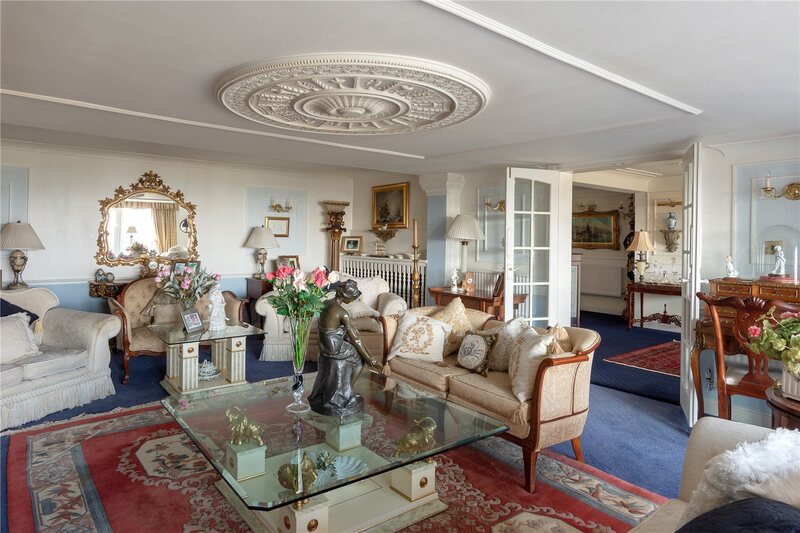 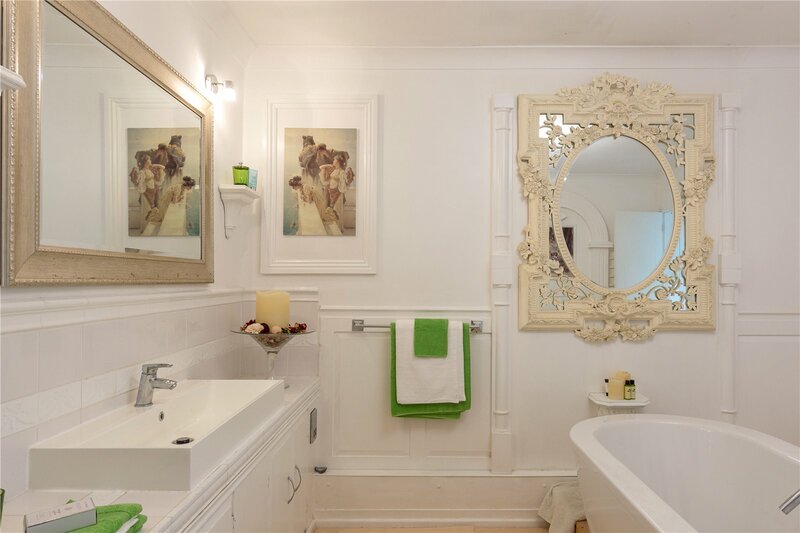 Believed to date back to the 1950s the property has been subject to a fastidious program of works over the recent years and now offers eminently flexible and spacious family accommodation presented to the highest possible specifications. 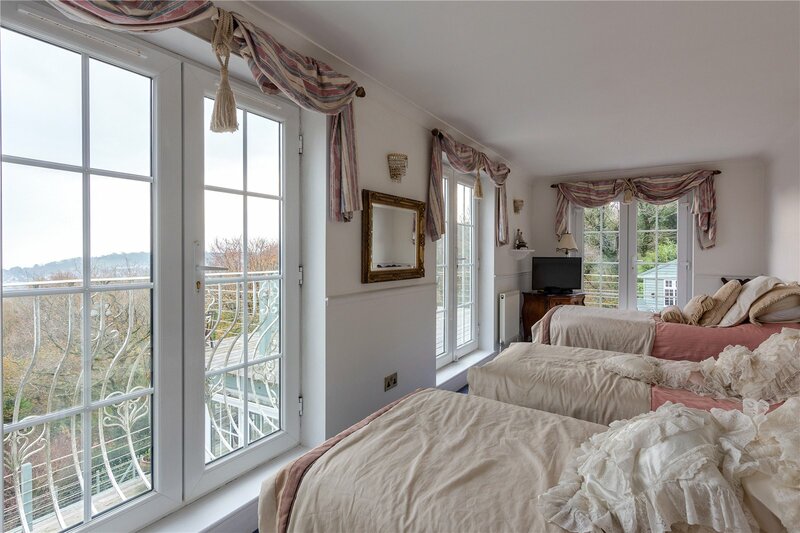 As soon as the front door opens there is a real sense of charm, space and character with the majority of the main rooms boasting far reaching views of the sea and beautiful countryside. 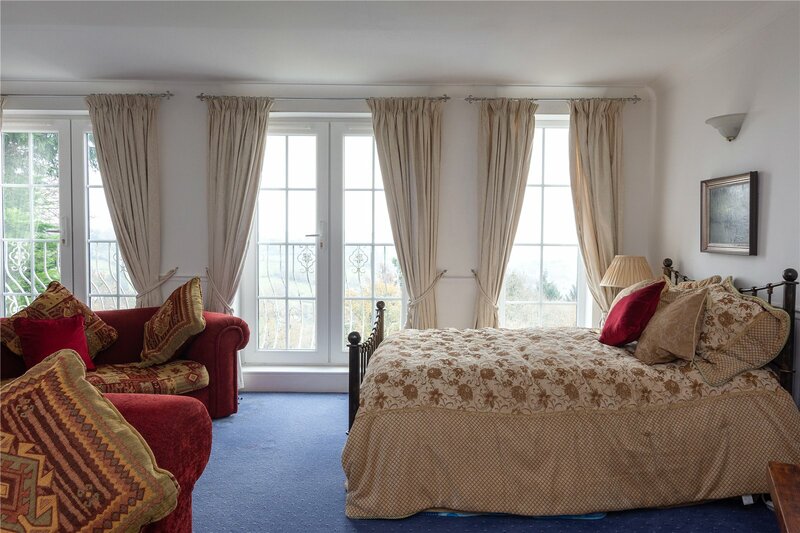 There are many rooms in the house worth a special mention including the fantastic and sizable sitting room with an attractive central fireplace and woodburning stove. 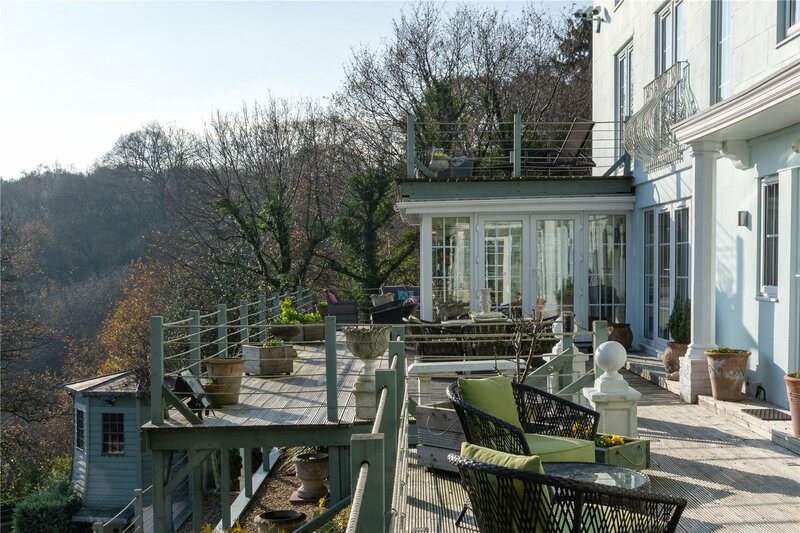 There are doors opening out to the magnificent wooden decked terrace which of course takes full advantage of the elevated position and views. 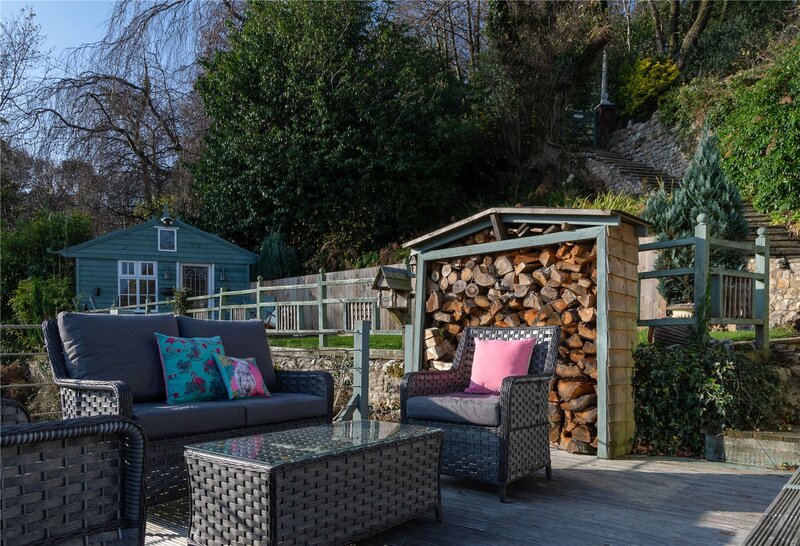 This is certainly al fresco dining at its very best. 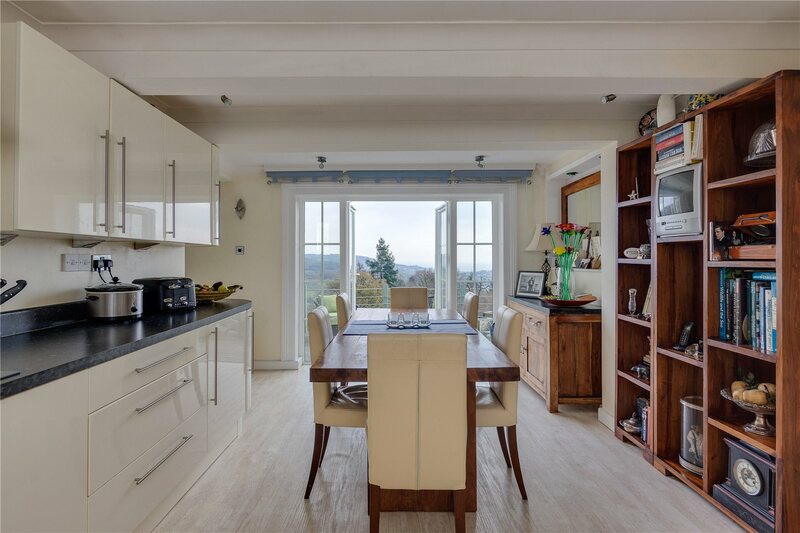 The family bespoke kitchen is a very good size with plenty of room for a dining table and once again takes full advantage of the views. 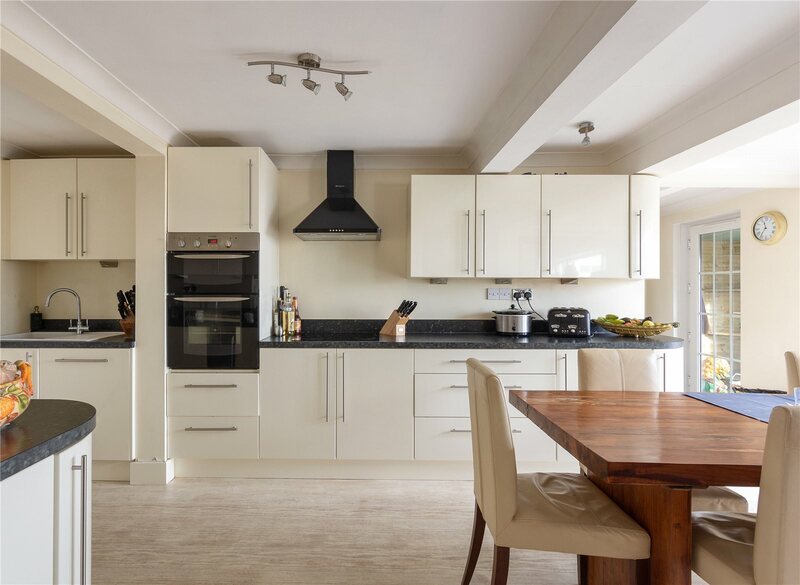 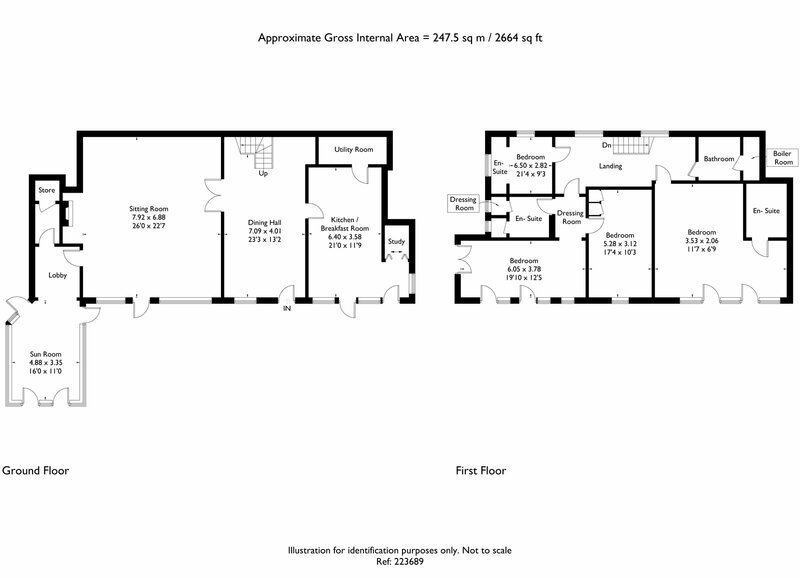 Just off the kitchen is a study which would also make a very good play area together with a pantry and dining area which forms part of the fabulous hall. 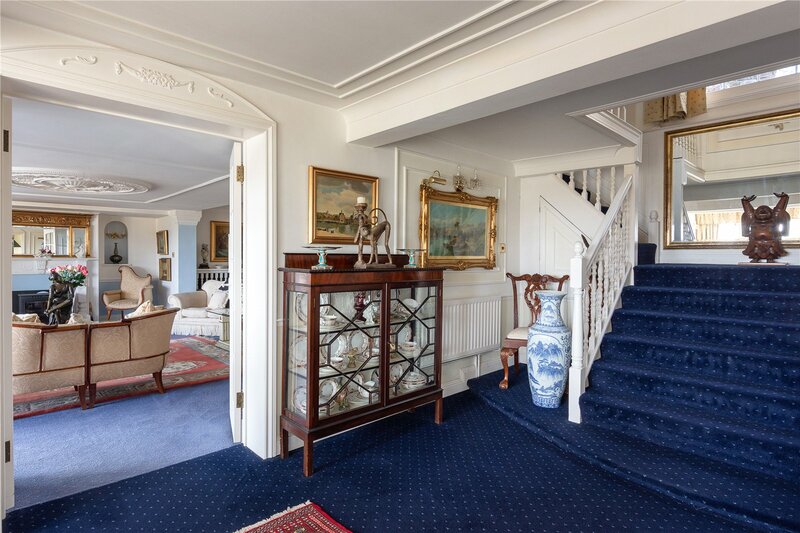 A grand staircase rises to the first floor, revealing a very versatile and luxurious layout, that could perfectly suit multi-generational living, or indeed the much-needed space of a growing family. 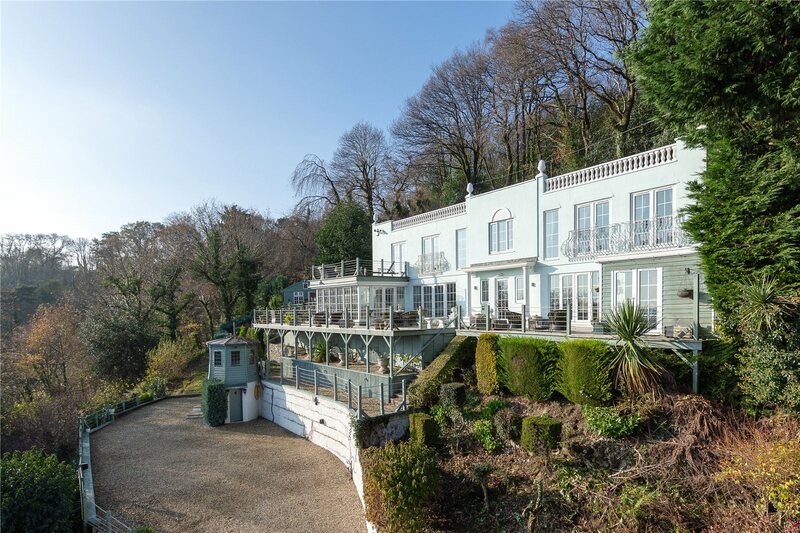 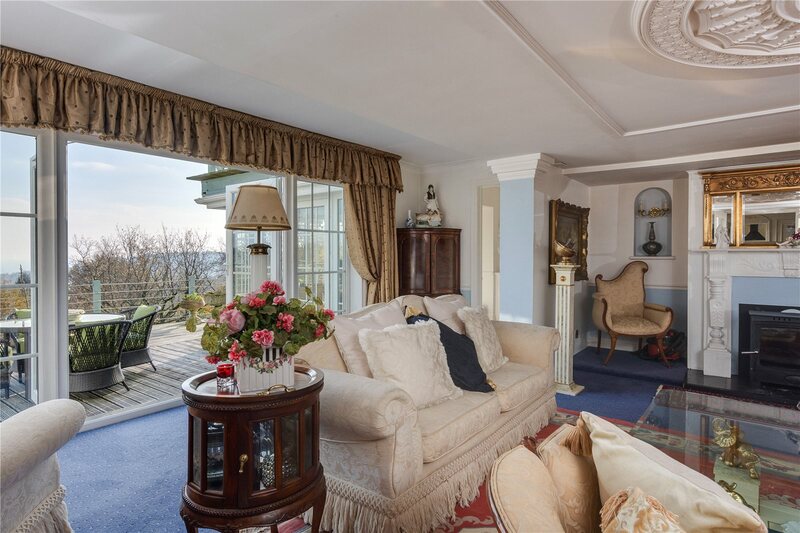 It is no surprise that three of the four bedrooms enjoying stunning views across the Lyme Valley and to the sea, with two giving access to the first-floor balcony. 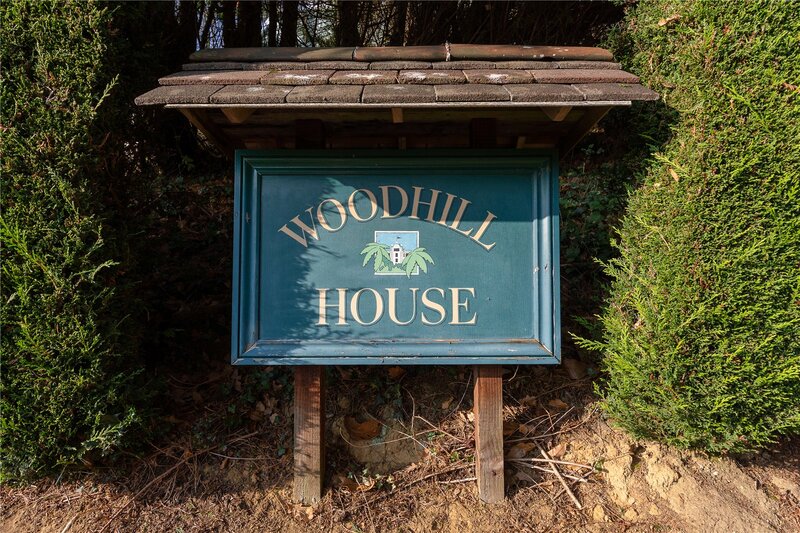 Outside Woodhill House is approached via a gravelled driveway, the immediate access being shared with Woodhouse Lodge. 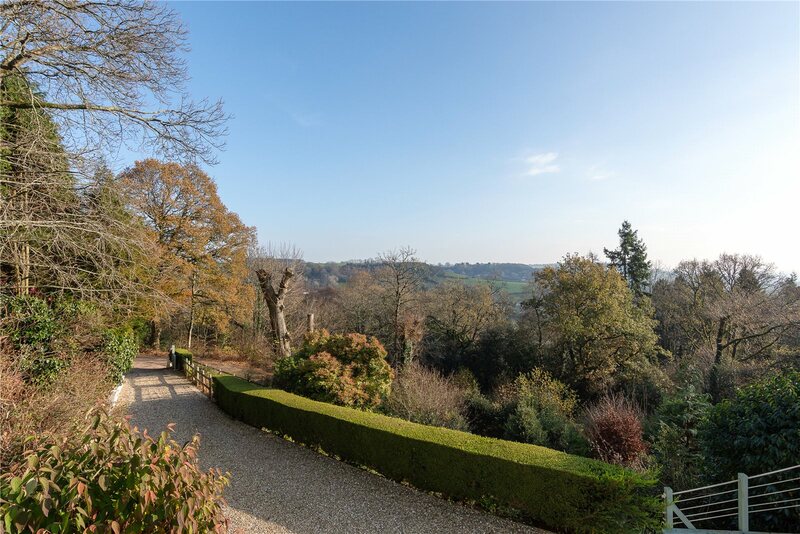 The gravelled private driveway for Woodhill House turns to the left-hand side, demarked by its own gates, and leads to a parking and turning area for a large number of vehicles. 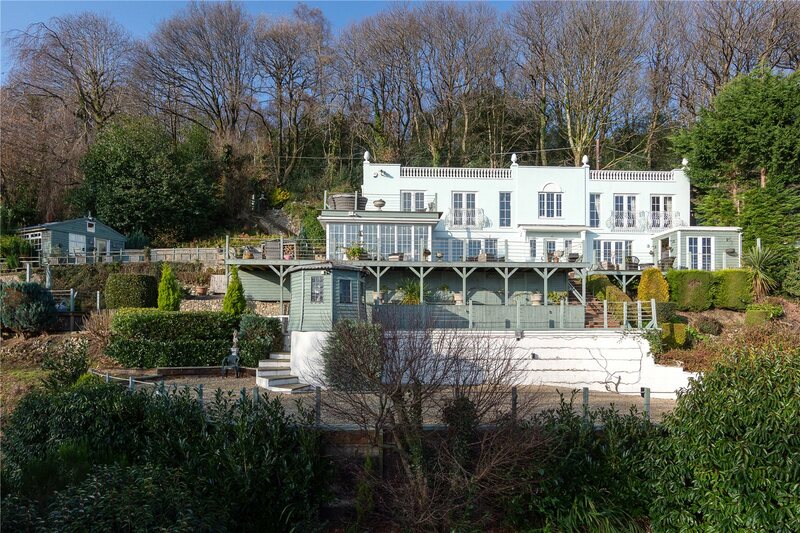 The landscaped gardens have been very cleverly thought out and nurtured over the years and form a major feature of the property, with extensively stocked borders with a wide range of mature specimen shrubs and plants laid out on various levels whilst enjoying a fine aspect out towards the sea. 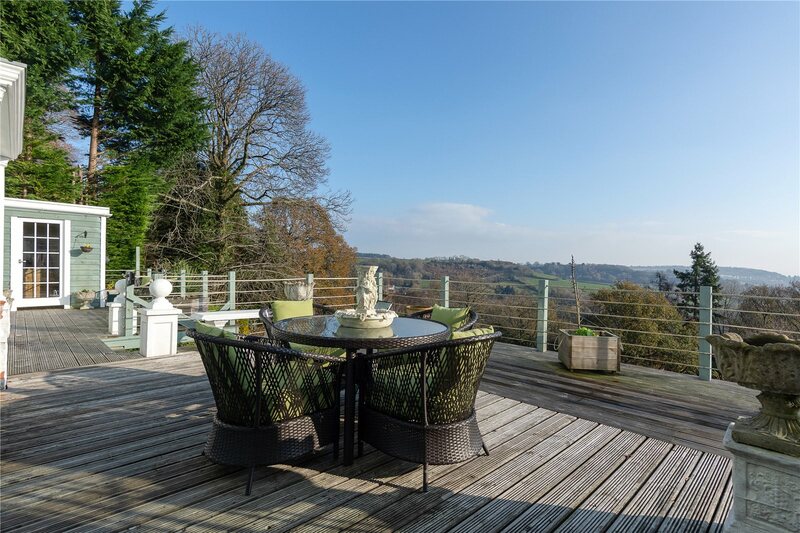 Like the property itself, the garden takes full advantage of the elevated setting with panoramic views which can be enjoyed from the full-length terraces to the front of the property.